Our team will transform the planning solutions into construction documents, refined with input from all team members, to create a document package that translates your initial ideas into a constructional reality. One of the many perks of working with HJT is that our dentist consultant, design consultant, and architect consultant are all within the same team. There is never any confusion between the design process and the architecture reality because each member will be with you every step of the way, learning what your aspirations are, and obtaining a firm grasp of what your office will eventually look like. The ideas, theories, and aspirations we’ve discussed will be translated into construction documents and will then be acted out by our team of professionals. 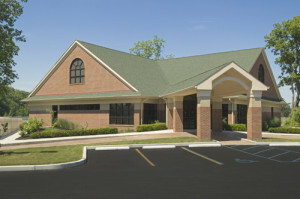 Don’t spend more money than necessary in designing your renovation or newly created office building. HJT promises a three in one design approach which includes a dentist, designer, and architect. All three work together harmoniously to create one, amazing result; nothing gets compromised and nothing gets forgotten. Don’t waste time and money searching for three different consultants. Trust in one – HJT – for your dental design needs. HJT is your number one choice in dental design consultants. Don’t allow yourself to spend additional thousands of dollars when you don’t have to. Trust HJT to design with you – the client – in mind. Working together, understanding your business, and designing the proper layout is the experience you’re promised when working with HJT; let us achieve this for you, your future, and your business. Let us turn your dreams into reality.